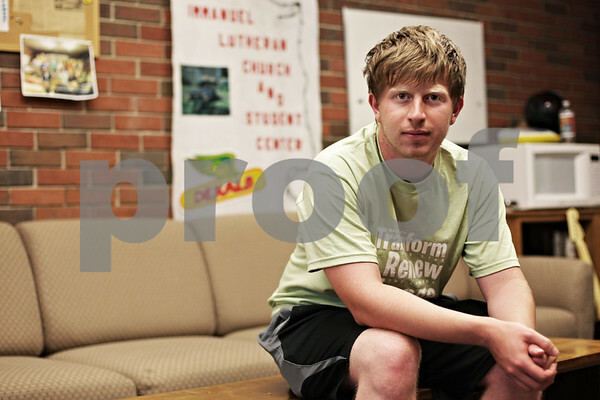 Northern Illinois University sophomore Andrew Wegner works as a peer minister at Immanuel Lutheran Church in DeKalb. Although the church's lounge is in need of new carpeting and furniture, he insists a relationship with God is always the real goal. "As important as (the improvements) may be, God is the focus," he said.